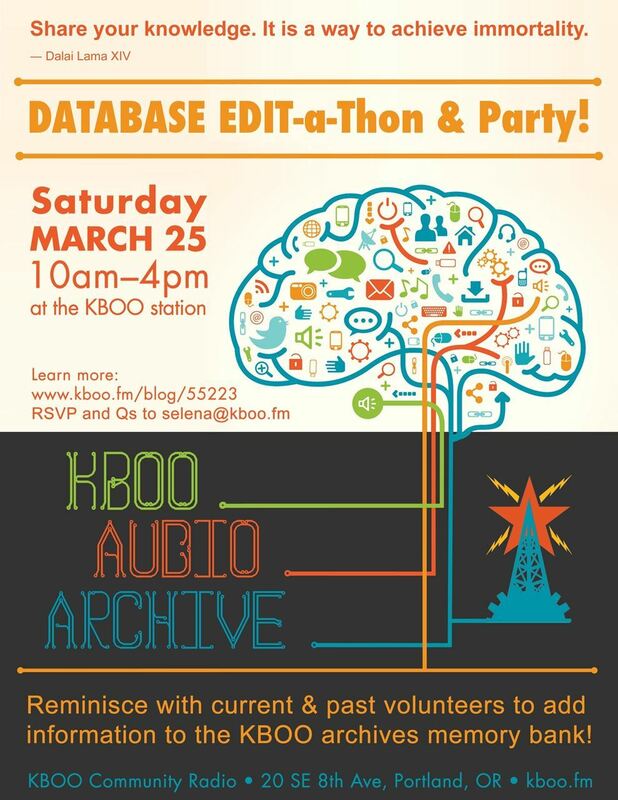 Join KBOO, a local radio station in Portland, OR, for the KBOO Audio Archives Database Edit-a-Thon & Party! Volunteer your time and archival skills assisting in the ingest and editing of database records. Go to the KBOO Blog for more information about the event and how to RSVP!